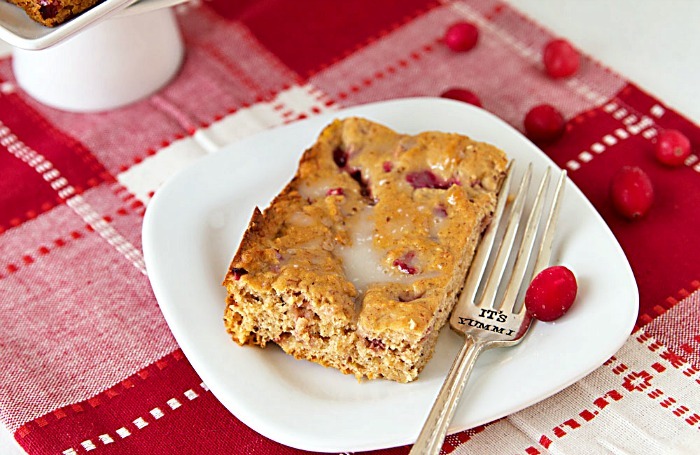 Cranberry Banana Bread is a delicious cross between a cake and bread that’s a wonderful morning treat! I can’t begin to explain how excited I am for my sweet girlyfriend, Julie. She’s getting married to her best friend! Congratulations, Julie and Mike! I wish you a lifetime of love and happiness together! 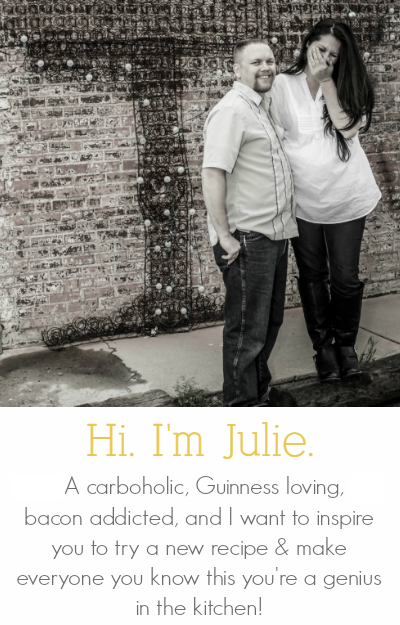 Julie asked me if I’d be willing to share a recipe with you while she’s gone, and since she was sweet enough to share in my wedding celebration, I definitely wanted to reciprocate. When I got married to Brian, she got together with 10 more of my blogging friends to throw me a virtual wedding shower. She made a delicious looking spiked holiday punch recipe. 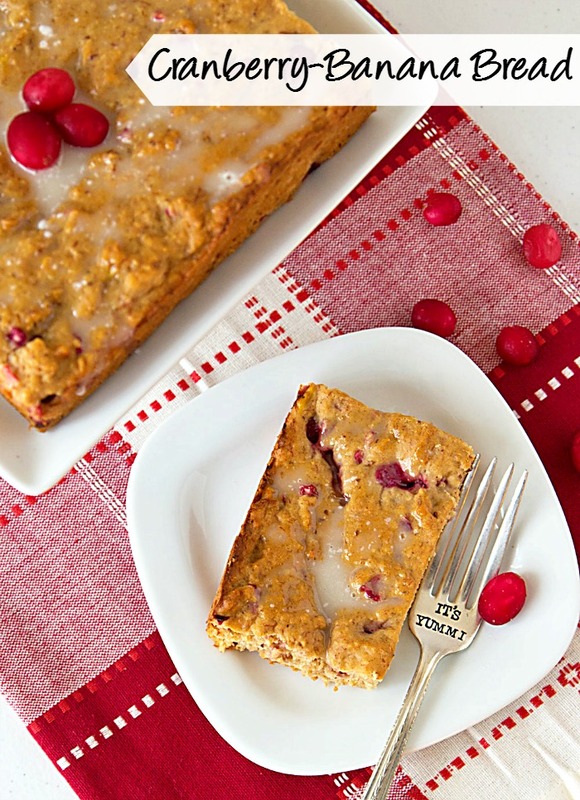 Now that I think about it, this cranberry banana bread would be the perfect accompaniment to Julie’s cocktail recipe! 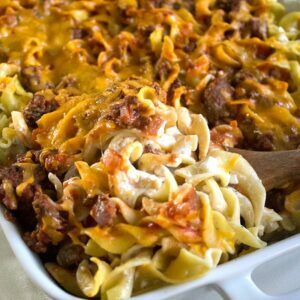 I adapted this recipe from one that I found in the Everyday Cooking with Organic Produce cookbook. It’s a wonderful cookbook, by the way. I’ll be posting a review of it in the next several weeks, so be sure to watch for it! Oh, and for those who may not already know, I started doing cookbook reviews on my website, It’s Yummi. You can read all of the reviews here. The original recipe calls for the use of all-purpose flour, which I rarely use any more. I prefer to use a low-carb baking mix for most of my baking. It keeps the calories and carbohydrates down (compared to using traditional all-purpose flour). When it comes to cakes, though, I use cake flour for the best results, which is what I used in this recipe. I added a little bit of the low carb baking mix along with it, which is why I call this a cross between bread and cake. It’s moist, but not quite as delicate as traditional cake is. 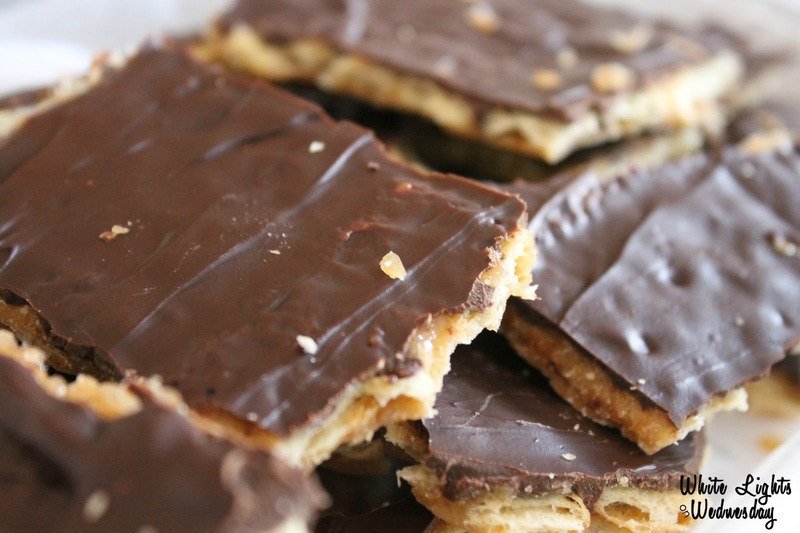 The gluten in the baking mix gives it some structure and stability. If you’d rather not use cake flour and the baking mix, feel free to use an equal amount of all-purpose flour in place of them. 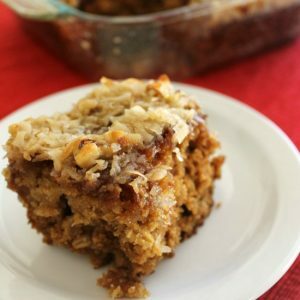 I hope you’ll love this cranberry banana bread recipe as much as I do, and if you’re looking for more great recipes of mine, please feel free to come find me on my website, ItsYummi.com or on my social media accounts – Facebook, Pinterest, and Instagram. 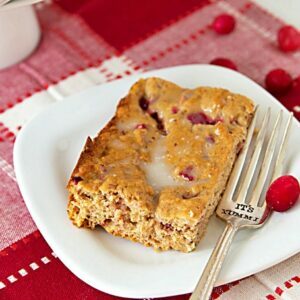 Cranberry Banana Bread is a delicious cross between a cake and bread that's a wonderful morning treat! Heat oven to 350 degrees F. Use 1 teaspoon butter or cooking spray to lightly grease an 8-inch x 8-inch cake pan. In a medium bowl, add flour, baking mix, and baking powder. Whisk to combine, then set aside. In large bowl of an electric hand or stand mixer, beat honey and butter on medium speed until creamy. Add bananas and egg whites; mix until blended, scraping down sides of bowl as needed. Add flour mixture; mix until blended, scraping down sides of bowl with a rubber spatula as needed. Use a mixing spatula to fold in the cranberries, then spread the batter evenly into the prepared baking pan. Bake for 35-45 minutes, or until toothpick inserted into the center of the cake comes out dry or with just a few crumbs attached. Remove pan from oven and transfer to a wire rack. All the cake to cool completely. If desired, mix the glaze by combining the powdered sugar and milk in a small bowl; use a spoon to stir until combined. Drizzle glaze over the cooled bread, or use a spatula to spread an even layer across the surface of the cake. Yum – thank you and have a great evening.